Globalizing processes are gathering increased attention for complicating the nature of political boundaries, authority and sovereignty. Recent examples of global financial and political turmoil have also created a sense of unease about the durability of the modern international order and the ability of our existing theoretical frameworks to explain system dynamics. 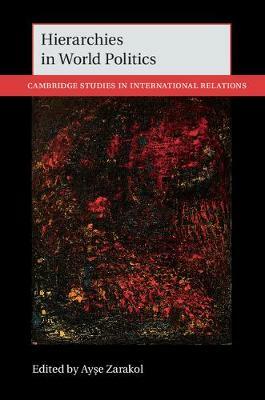 In light of the inadequacies of traditional international relation (IR) theories in explaining the contemporary global context, a growing range of scholars have been seeking to make sense of world politics through an analytical focus on hierarchies instead. Until now, the explanatory potential of such research agendas and their implications for the discipline went unrecognized, partly due to the fragmented nature of the IR field. To address this gap, this ground-breaking book brings leading IR scholars together in a conversation on hierarchy and thus moves the discipline in a direction better equipped to deal with the challenges of the twenty-first century.